Occasionally, my wife and I get the chance to play cards with some good friends of ours. We usually play a game called “500.” It’s one of those games where the high card wins, except that there is also a trump suit. So there are those times when you are sure you have the winning card and someone lays down trump and takes the round. 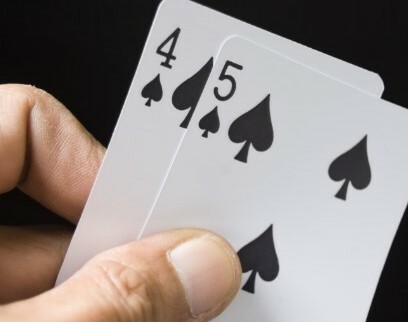 I lay down my Ace of Diamonds with confidence waiting to grab the stack of cards about to be played, but then comes the lousy 4 of Spades – it’s just a 4! But not any 4, it’s the trump suit 4. And I lose my Ace to that stupid low card because someone trumped me. In Genesis chapter 5, we read about the genealogy of some of the first dudes in the Bible. They were living some amazingly long lives. Now I don’t mean like 100 years. No, these guys were living 800-900 years. Some of them didn’t even start having kids until they were over 100. Can you imagine? Methuselah lived just shy of a millennium! Then there’s this one guy whose story stands out among the rest. He only lived 365 years. While that seems like a long time, it’s not even half of what these other guys lived. His name was Enoch. I noticed something different about Enoch as I read. Every other guy in this chapter has a story that reads like this: “He lived this many years, had kids, and died.” But Enoch doesn’t die, which is strange. After all, this was the cycle of life that God prescribed to Adam as he left the garden. From the dirt you came and to dirt you will return. Every human has at least two things in common. You were born and you will die. That’s just how it works. It’s the Ace of Diamonds. That’s how it’s played. But for Enoch, God laid down the 4 of Spades. He trumped order. He trumped the cycle. He trumped death for a man who walked faithfully with God. So Enoch never died. He walked with God on earth and went on to walking with God in heaven. This little slice of Enoch’s life reminds me that God holds the trump card. At any moment, He can play it. In His hands, He holds the power to win any round. He can trump despair, addiction, sickness… even death. Amen! Oh, one more thing about this card game that I play with friends. It is a game of partners. There are times when my hand doesn’t look so good. I think we are doomed. But then my partner comes to the rescue. When I think all hope is lost, he plays the trump card. It’s not just about the hand I have been dealt. I may have nothing good and he may have a whole bunch of trump. *Do you feel like you were dealt a lousy hand? God is your partner and He holds all the trump! Um, ya- directly speaking to the Tallent family situation right now! !